Today is Pioneer Day in Utah. Each July 24th the residents of Utah celebrate the “Days of ’47” commemorating Brigham Young’s 1847 arrival in the Great Salt Lake valley. This holiday is a big deal; a state holiday with parades, fireworks and family picnics. It’s a lot like the 4th of July is for the rest of the United States. Being Pioneer Day, you can understand that the festivities place an extra emphasis on the Mormon pioneers who settled Utah. More than usual, that is. 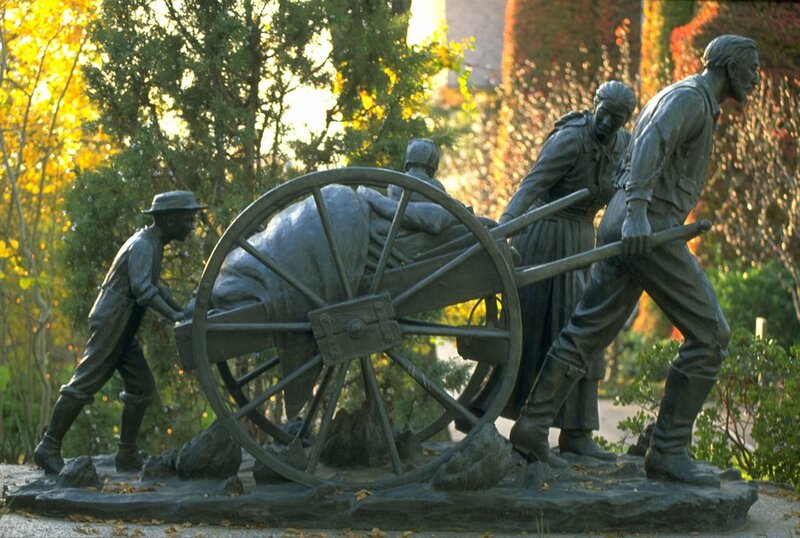 Mormon Pioneer heritage figures prominently in the identity of today’s Mormons. We see a lot of artistic renderings of the Mormon pioneers. On canvas and in sculpture they are depicted in various poses and scenes. Sometimes we see their hardships, and sometimes their joys, but almost always we see them in family groupings. 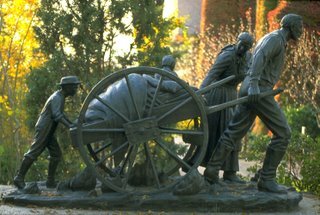 The LDS Church emphasizes its commitment to family, of course, and the pioneers who crossed the plains and mountains included mothers, fathers, sisters and brothers. sheds light on the religious foundations of the Mormons, traces the journey of Thordur Didriksson (1828-1894) over sea and land, and gives insight into the community that the Icelanders joined and lived in abroad [i.e., Spanish Fork, Utah]. My cousin (who lives in Reykjavik) thoughtfully sent me a booklet about the exhibit, produced by the museum. The booklet includes an excerpt from the journal Mr. Didriksson kept as he crossed America in a Mormon handcart company. I have never seen an artistic rendering of Mormon pioneer children being driven with willow switches. Have you? That’s disgusting! Sounds like the church only wants people to know the sanitzed version!